This year Gilgal Christian Community and Gilgal Missional Community Church are including Plan to Protect in our insurance strategy. Plan to Protect. Rates for insuring our church plants and churches for April 2018 to March 2019 will be $24.00 per month and will include training and covering for a number of things. (Our certificates will be attached below) Smaller churches will be asked to pay $5.00 per month and this will include all or our missional communities as well. Since 1963 Brokerforce has been insuring our clients' interests. We work to protect you. Not only from disasters but from a bureaucracy that can sometimes rob you of your rights. 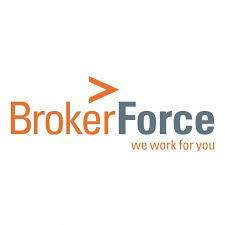 The staff at Brokerforce are your advocates. What is Plan to Protect? At Plan to Protect®, our priority is abuse prevention and vulnerable sector protection. By equipping your team with effective and customized policies, procedures, and training, our goal is to make your community a safe one. Since first writing the first version of Plan to Protect® in 1996, it has become known as the STANDARD of abuse prevention and vulnerable sector protection. Organizations that access our services, and receive training and support from us report significantly increased confidence in their ability to serve the vulnerable sector because gaps in security are simply eliminated. The sad reality is that abuse in all its forms (physical, sexual, emotional, and neglect) is far too common. Thankfully, organizations can take the right steps to keep the vulnerable sector out of harm’s way. By partnering with Plan to Protect®, organizations of any type or size can help protect children, youth, persons with disabilities, and the elderly from all types of abuse. Whether you represent a camp, school, daycare, club, retirement facility, church, or any other organization that works with the vulnerable sector, Plan to Protect® can help you to protect your community. Our services include customized policies and procedures, risk assessment, strategic planning, fast-tracked criminal record checks, community support, training, and much more! We are ready to help you to reach your goal of creating a safe community, regardless of the size of your organization. Not only can Plan to Protect® help you keep up to date with the standards in abuse prevention, but our support community is a constantly growing database of resources, information, and ongoing learning. Click Here to learn more about our membership programs.